Henry Willet* once described the commonplace pottery ornaments on our mantelpieces as a ‘kind of unconscious survival of the Lares and Penates of the Ancients.’ The lares and penates were the household spirits of the ancient Romans. They were represented by small figurines and carefully kept in a special cupboard. The lars familias, the family spirit, was the most important. The penates were the spirits of the larder – they were often brought out at each meal and placed on the table. When the family moved house, their lares and penates moved with them. Last week I stood in front of a shop in Reform Street and counted ceramic Disney characters (by the score), dragons, various maidens and angels and a particularly nauseatingly twee collection of romantically themed pieces by Willowtree. My opinion is immaterial however, people buy this stuff because it means something special to them; these objects are latterday household gods and as such are treasured. I find these faceless figures both mawkish and menacing, but many people not only treasure them but attribute special powers to them. 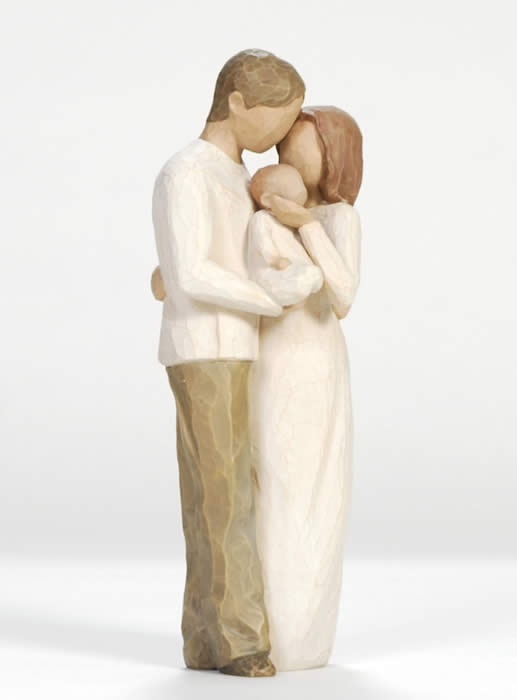 A cursory glance at the Willowtree website shows many gushing endorsements attesting to the powers of these figurines. Apparently they can do anything; cure a broken heart, attest to true love, even provide some consolation for the loss of a child. I was going to include some quotes from the site but have decided not to because if people find them important and comforting, it doesn’t matter that I think they are ugly, tacky and gimcrack; cashing in on the gullibility of the tasteless. I’m not alone in my dislike. There is a blog called “Stuff Christians Like.” (!!!!!) The author, one Jon Acuff goes rather further than I do. “when I see those “Willow Tree” figures Christians book stores sell. Those chill me to the core. How come they don’t have features? How come they all look like they’ve had their noses smoothed away by some serial killer called “Mr. Sandpaper?” Honestly, I know I have seen horror movies where featureless people slowly hunt you. You can run, you can run as fast as you want, but they’re still coming. They’re still chasing and they always catch you even though they just walk with a slow plodding pace. I don’t know the dolls he’s talking about but I’m with Mr Acuff all the way about the creepiness. But I’m still interested in why people collect ornaments and what they mean in their lives. The objects we have about us have greater value than strict functional utility; they are signifiers of beauty, status, prestige and the reasons for their presence in our homes are complex. Ornaments may be acquired as gifts or to indicate social status, they may be part of a collecting habit (of which more later), bought just because they are fashionable or even be believed to have “special powers”. And sometimes they are kept purely for sentimental reasons even though their owner doesn’t actually like them. 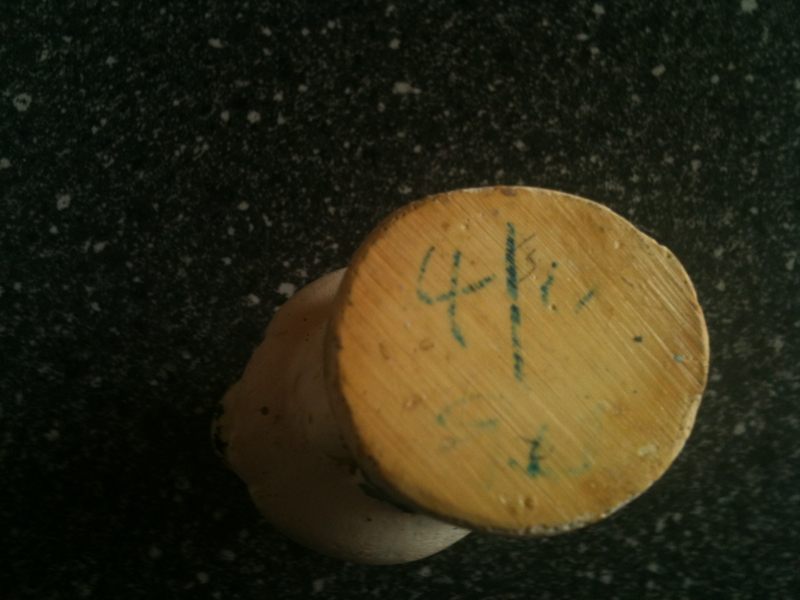 My younger sister brought them home as a present when she had been at Brownie camp some fifty years ago. During the course of the camp parental visits were allowed. My sister asked for 3/- to buy ‘something’ – apparently it was these jugs which cost a grand total of 4/11d (about 25p), she had the 1/11d already saved. You can still read the price on the base. 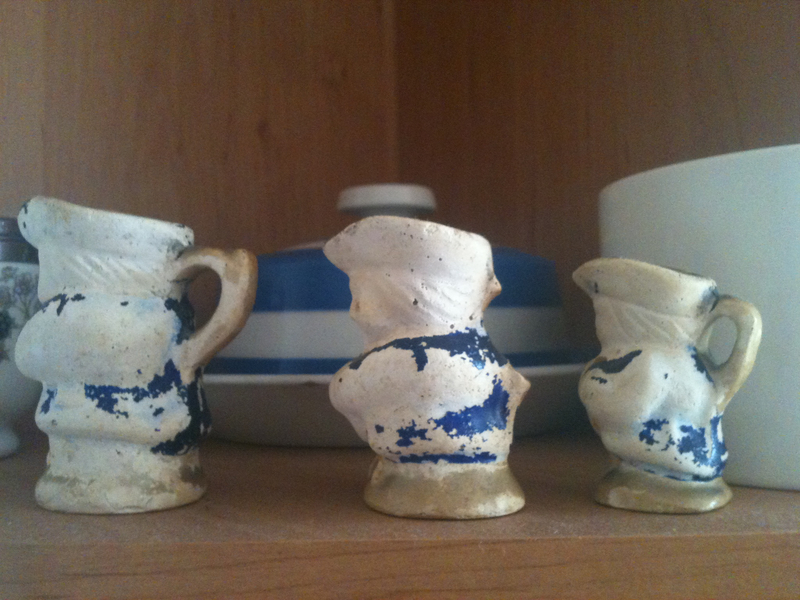 My mother doesn’t like the jugs much – indeed, she does think they look a bit grubby but she will never get rid of them. They are an important (if generally unremarked part of her personal landscape). *Henry Willett (1823-1905) was one of those indefatigable Victorian collectors. His major passion was for pottery and porcelain, often of the cheapest and most mundane nature. Willett collected ceramics in order to tell the history of the British people. There are some 2000 pieces in his collection, most of them dating from 1600-1900. He catalogued them under 23 themes which cover all aspects of British history; royal and political, military and economic, social and cultural. This entry was posted in ceramics, Pleionexia, Uncategorized and tagged a dainty rogue in porcelain, ceramics, consumption, Henry Willet, Knick knacks, souvenirs, Willow Tree. Bookmark the permalink.